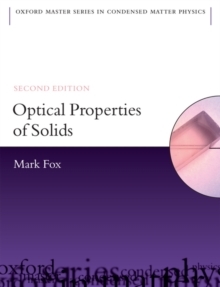 The second edition of this successful textbook provides an up-to-date account of the optical physics of solid state materials. The basic principles of absorption, reflection, luminescence, and light scattering are covered for a wide range of materials, including insulators, semiconductors and metals. 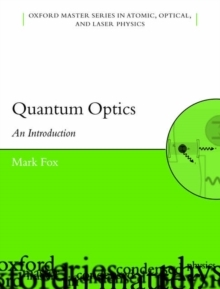 The text starts with a review of classical optics, and then moves on to the treatment of optical transition rates by quantum theory. In addition to the traditionaldiscussion of crystalline materials, glasses and molecular solids are also covered. 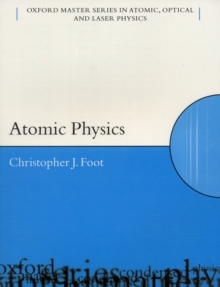 The first edition included a number of subjects that are not normally covered in standard texts, notably semiconductor quantum wells, molecular materials, vibronic solid state lasers, and nonlinear optics. The basic structure of the second edition is unchanged, but all of the chapters have been updated and improved. Futhermore, a number of important new topics have been added, including:* Optical control of spin* Quantum dots* Plasmonics* Negative refraction* Carbon nanostructures (graphene, nanotubes and fullerenes) * NV centres in diamondThe text is aimed at final year undergraduates, masters students and researchers. 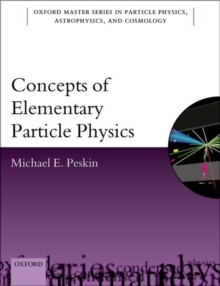 It is mainly written for physicists, but might also be useful for electrical engineers, materials scientists and physical chemists. The topics are written in a clear tutorial style with worked examples, chapter summaries and exercises. A solutions manual is available on request for instructors.